Email Attachments by Mageplaza allows attaching important billing documents as PDF invoice, Credit Memo, Shipment and adds Terms and Conditions to sales emails. This helps customers follow all purchasing information while checking emails from stores. It takes few seconds for small attachments as PDF invoice, Credit Memo, Shipment to be delivered to customers’ emails and to a group of recipients at the same time. Email attachments reduce delivery costs effectively because store owners do not have to pay for another way to send documents such as postage or shippers. Both customers and store owners can record all the billing documents easily via emails. It is easy to search and view the billing attachments all the time. With email attachments, customers can keep update on their purchasing information via attached billing documents each time they receive emails from store owners. With default Magento, online store owners are not able to attach billing documents as PDF when they send sales emails to their customers. Instead, shop owners have to send invoices manually when customers make payments. This causes the inconvenience to both sellers and buyers, wasting time and resources. 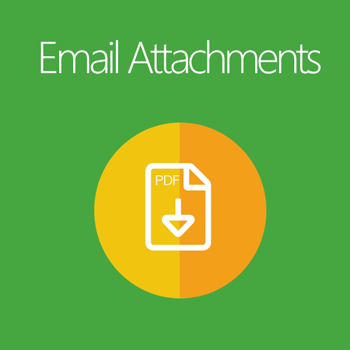 Email Attachments extension assists store owners in attaching essential PDF billing documents, such as Invoice, Shipment, and Credit Memo to the sales emails, automatically. PDF files for these billing documents are generated and attached automatically to the emails sent to customers. Email Attachments by Mageplaza also allows Terms and Conditions to be attached to emails. In particular, after a customer makes a purchase, a confirmation order email attached with the Terms and Conditions file will be sent. This helps customers keep noticed about the store’s policy clearly and evidently. 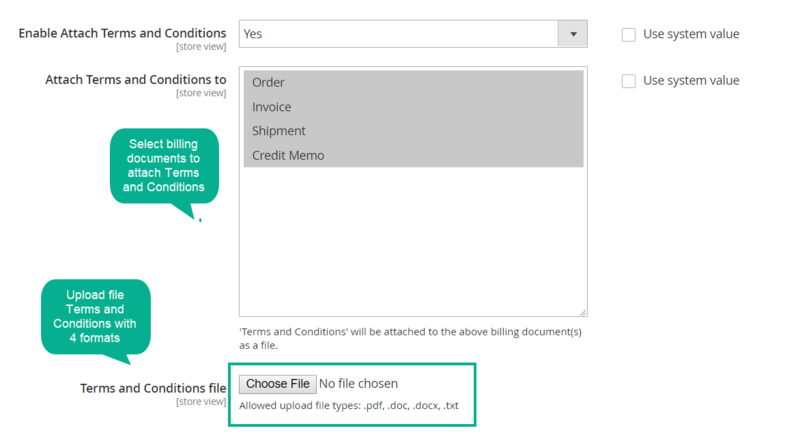 There are 4 file types for Terms and Conditions attachments including .pdf, .doc, .docx and .txt. Store owners can flexibly upload suitable types with specific purposes or specific customers when attaching to emails. 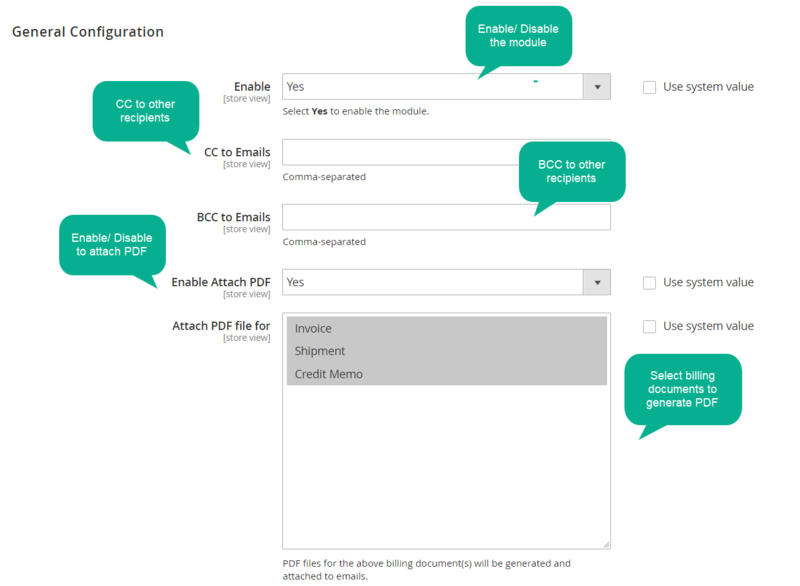 The module includes Cc and Bcc fields which help store owners send copies of the email to additional people. Cc addresses are transparent while Bcc conceals the recipients. Store owners can take advantage of this feature in specific actual situation and requirements. Follow all purchasing information easily via email. Great extension. Thank you, this is a very nice product you made, excellent code, well-customized script and all, very very easy to install this extension. This extension perfectly covers functionality that should be native to Magento, seamlessly integrated with the Magento workflow and free of charge. Good job, keep up the good work! We are really pleased with Mageplaza team! Everything is done correctly and fast. Thank you so much.